Industrial Process Transducers_Fairchild T5200 Faichild Vietnam, T5400 Faichild Vietnam, T5700 Faichild Vietnam and T600 Faichild Vietnam 0_Faichild Vietnam, Nhà phân phối Fairchild, Đại lý Fairchild - Fairchild VietNam - Pites Vietnam_Pioneer Innovation Tech and Eng. Results in faster loop control and savings in process materials. Allows use in systems where operating gas is expensive. Meet most process and machine requirements. Provides stable operation over wide temperature Range. Permits use in space restricted areas. Maintains set points under adverse vibration conditions. Allows installation flexibility for most applications. Suitable for outdoor and indoor installations. 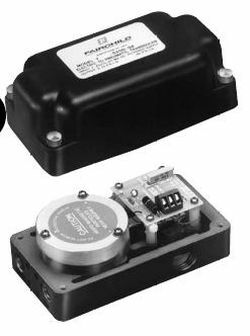 NEMA 3R or optional NEMA 4X Enclosure. 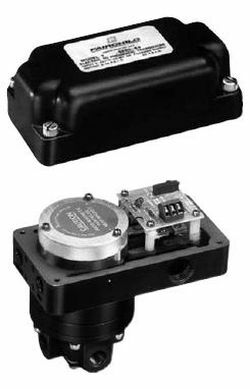 High Flow for higher capacity output signal or pressure. Meets most process and machine requirements. Allows zero pressure based operation. Meets industrial equipment requirements for higher output pressure ranges. Provides stable operation under environmental changes. Well suited for outdoor and indoor installations.